Nearby parks include Macken Park, North Hills Park and Waterworks Park. 715 Armour Rd Apartments has a Walk Score of 66 out of 100. This location is Somewhat Walkable so some errands can be accomplished on foot. Let your story unfold at Park Lofts. Steeped in history this nine story building, built in 1912 once served as Sears & Roebucks Warehouse. Today it offers Studio, 1 & 2 Bedroom Lofts tailored to fit your unique style and taste. Lofty 12 to 20 foot ceilings and exposed brick are features you'll find. 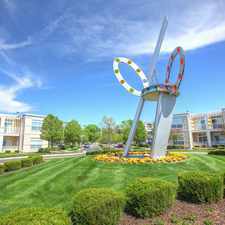 Enjoy life in this inspiring neighborhood where you'll be walking distance to parks and other attractions. End your search today and live your best chapter at Park Lofts. Explore how far you can travel by car, bus, bike and foot from 715 Armour Rd Apartments.